Our next meet-up is Monday June 9th. The speaker, Itamar Frankenthal has a great presentation planned that will help you think more effectively about your ideas and how to implement for better success. I've heard Itamar speak with various groups and his colorful background always entertains and educates. I look forward to seeing you on the 9th. Got an invention and want to learn how to license or launch it? Are you an entrepreneur or small business with intellectual property worth protecting? Want to better understand patent and patent rights? Looking for ways to prototype and manufacture your product? Want to hear success stories and mistakes to avoid from other innovators? 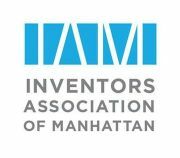 The Inventors Association of Manhattan is for you. 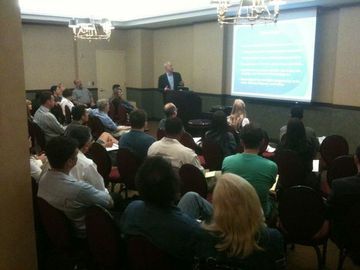 Every 2nd Monday of the month, we feature an expert guest speaker, lively discussion among inventors. We foster professionalism, trust and support. All Welcome! Easy online registration. Miss a meeting? No problem. See www.youtube.com/ManhattanInvents (our YouTube video channel) for videos of meetings and more! Do you offer services to inventors like patenting, prototyping, new product and industrial design, licensing, investing, manufacturing, marketing and sales? The IAM is also for you. The NYC Business Networking Group (NYCBNG): Award Winner!